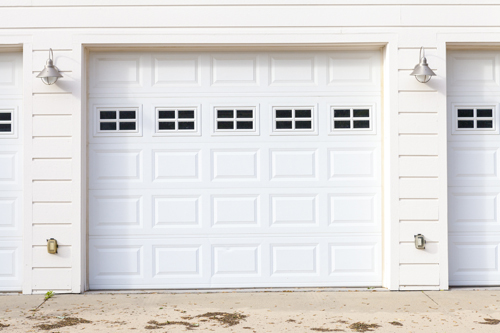 There is a wide range of Clopay insulated garage doors. There are various makes, layer designs and insulating material options. Each model has a specific R-value which measures the level of insulation that it provides. The R-value is calculated in line with the DASMA TDS-163 technical data sheet. The steel doors of the brand provide the largest variety of insulation options. There is a choice between 2-layer, 3-layer, and even 5-layer designs. Dual layer design includes a layer of steel and a layer of insulating material. With the 3-layer option, another layer of steel is added so the insulating material sits in the middle. The Canyon Ridge models have five layers - steel, insulating material, steel, composite cladding, and composite overlay. Clopay has developed its own patented insulation technology called Intellicore. It involves the injection of polyurethane foam between two layers of steel for achieving maximum fill and the highest possible R-value. The other insulating material which the brand offers is polystyrene. It arrives in the form of solid panels. Both the polyurethane and polystyrene materials come in different thicknesses. The thickness along with the natural properties of the material is the two main factors which determine its R-value and that of the entire door structure. The wooden garage doors of the brand are available with insulation as well. The rail and stile construction allows polystyrene panels to be inserted inside this structure. Then boards of wood are added to each side of the structure. Clopay glass doors cannot have insulation material added to them. However, it is possible to opt for insulated glass. With Clopay insulated glass garage doors the energy efficiency of the garage is greatly improved. This helps to reduce the energy bill for the property in the long term as well as in the short one.